A morning and evening ritual of tart cherry juice may help you sleep better at night. That’s the finding of a study presented on April 28th at the annual meeting of the American Society of Nutrition, which is being held in conjunction with the Experimental Biology 2014 meeting in San Diego Researchers from Louisiana State University found that drinking Montmorency tart cherry juice twice a day for two weeks helped increase sleep time by nearly 90 minutes among older adults with insomnia. The study has been submitted for publication in a peer-reviewed journal. A release fromthe public relations firm of Weber Shandwick Worldwide notes that insomnia is a common health problem among older adults, impacting an estimated 23 to 34 percent of the population ages 65 and older. Insomnia – defined as trouble sleeping on average more than three nights per week – can be an annoyance for some, but long-lasting sleeplessness can seriously affect health, especially in the elderly. Insomnia is linked to a higher prevalence of chronic pain, high blood pressure, type 2 diabetes and a decline of cognitive function, or dementia. People with insomnia may turn to sleeping pills. However, these sedative medications have been found to increase risk of falls in the elderly, which makes it increasingly important to find more natural sleep-aids without these apparent side effects, said co-author Frank L. Greenway, MD, director of the outpatient research clinic at the Pennington Biomedical Research Center at Louisiana State University. “Sleeping pills may be an option for younger insomniacs, but for older people these medications quadruple the risk of falling, which can lead to broken hips and, often, earlier death,” Greenway said. 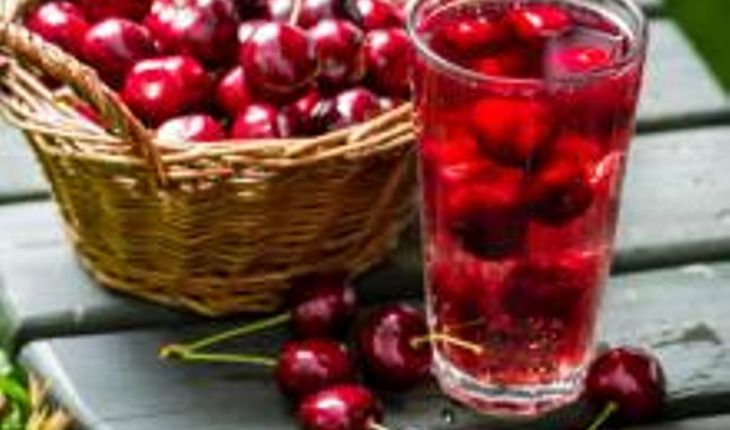 For the randomized crossover clinical trial, seven older adults (average age 68) with insomnia consumed 8 ounces of tart cherry juice twice daily for two weeks, followed by a two-week washout period, then a two-week period when another beverage was consumed (placebo). Greenway and his colleagues studied their slumber in a controlled setting, using overnight polysomnography to evaluate sleep efficiency, such as sleep onset and duration. Participants also completed questionnaires related to sleep, fatigue, depression and anxiety. Additionally, blood work was conducted on each participant. The researchers found that those who drank the Montmorency tart cherry juice in the morning and at night were able to sleep more than an hour longer each night (averaging 84 minutes) compared to the placebo, and their sleep tended to be more efficient. Montmorency tart cherries are a natural source of melatonin, a hormone that helps regulate the sleep-wake cycle. While previous studies have suggested that tart cherry juice has sleep-enhancing benefits, Greenway and colleagues set out to help explain why. They wanted to understand if the benefits were due to the melatonin content or another component in Montmorency tart cherries. They believe the ruby red pigments in tart cherry juice, known as proanthocyanidins, also play a role. These natural polyphenolic compounds are especially abundant in Montmorency tart cherries. In the study, tart cherry juice helped to increase the availability of tryptophan, an essential amino acid and a precursor to serotonin that helps with sleep. The juice was shown in cells to inhibit an enzyme (indoleamine 2,3 dioxygenase) that degrades tryptophan. Tryptophan degradation is a known predictor of insomnia and is also related to inflammation, said co-authors Jack Losso and John Finley, professors in the School of Nutrition and Food Sciences at Louisiana State University Agricultural Center. Greenway believes it’s the unique combination of melatonin and tryptophan in Montmorency tart cherries that is likely contributing to the sleep benefits. He and his colleagues conclude that drinking a glass of tart cherry juice in the morning and the evening may be a better and a safer way to treat insomnia.